Tired of fishing your earphones out your pocket and finding them in a tangle? 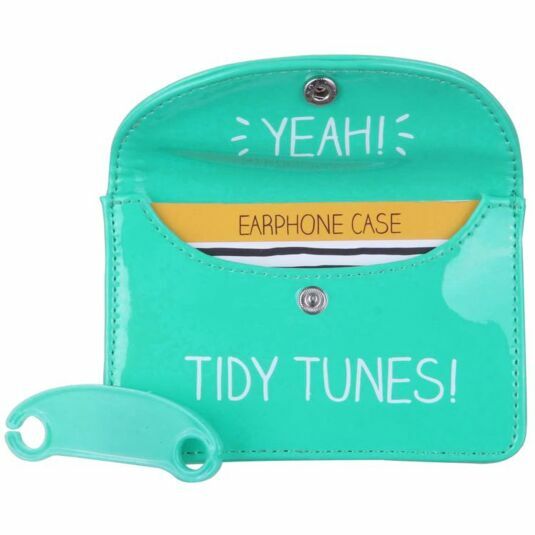 With this earphone case you can keep them in one place, and tangle free! It comes with a roll-up plate, and closes with a popper. 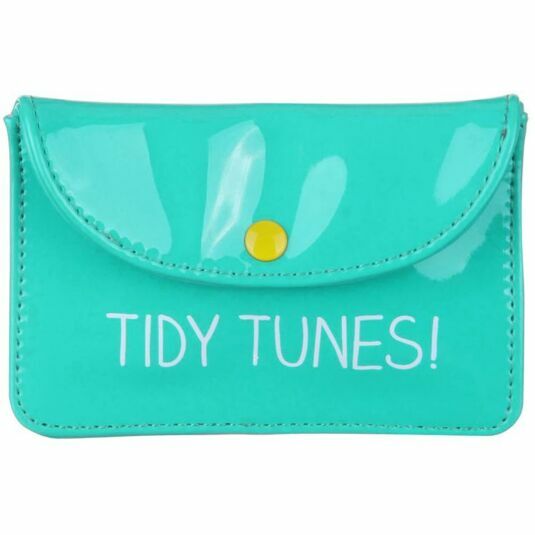 Under the flap are the words ' YEAH', while the outside shouts 'TIDY TUNES!'. This is the perfect gift for anyone on the move!